With scant Democratic help, voting rights groups this week petitioned the Obama Justice Department to investigate an alleged criminal conspiracy by Republicans to suppress enough votes to flip November’s election to President-elect Donald Trump. Meanwhile, many prominent Democratic leaders and their allies pursued face-saving strategies of blaming Russians and FBI Director James Comey for November’s surprise defeats. They pinned their anti-Trump hopes largely on their long-shot hope that 37 Electoral College voters will change their votes away from their ostensible commitment to follow the announced results in their states. The twin developments illustrate how ineffective Democrats and other Trump opponents have been as the president-elect and his allies prepare to transform government in ways that will affect almost every American. The Trump era looms with a federal government aligned with an increasingly radical Republican control of most states. And Trump will hold vastly increased power over such supposed watchdog institutions as courts, media, and professional groups. 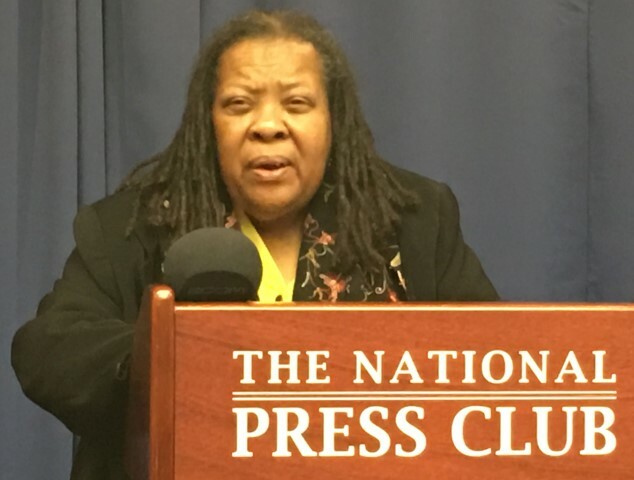 A sparsely attended news conference Dec. 12 at the National Press Club featuring author and film maker Greg Palast — one of America’s top investigators of voting suppression — helps illustrate the disconnect between Democratic leaders and the tens of millions of Trump opponents who are stunned by the November results. 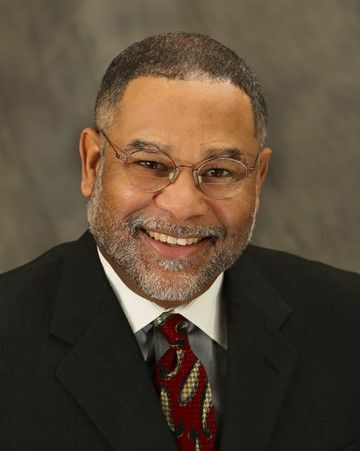 Palast and several representatives of minority groups — some meeting separately there later in the week at the People's Democracy Conference on voting rights — denounced “Interstate Crosscheck,” which is a plan led primarily by Republican state officials. Its catalog of millions suspected of multiple registrations allegedly thwarted many eligible Democrats from voting just once in swing states, thereby enabling the Trump victory. Kansas Secretary of State Kris Kobach, Donald Trump advisor shown in an official photo, initiated the recruitment effort for 30 primarily Republican states. They created the secret list of 7.2 million Americans suspected of illegally registering to vote in two localities for same election, protest organizers said. Trump has referred several times to this claim of massive vote fraud in charging that Democrats were “rigging” the election because many of their supporters planned to vote many times, as illegal immigrants, or otherwise illegally. The Crosscheck list accuses one-in-eight Asian American voters of voting or registering in two states, organizers said. 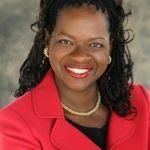 “In fact," organizers wrote, "a two-year investigation by Rolling Stone, which obtained the Trump/Kobach secret list, disclosed that approximately 1.1 million voters on the list, disproportionately voters of color, were purged before the 2016 election — including approximately 50,000 in Michigan and 46,000 in Pennsylvania. While double-voting is a federal crime, not one Asian American, Latino nor African American has been charged, though thousands were removed from the voter rolls." Tens of Thousands Thwarted In Michigan? 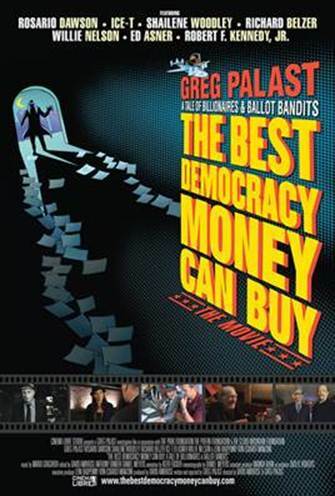 Palast, producer of the film The Best Democracy Money Can Buy and author of a best-seller by that name, has argued that some 75,335 uncounted ballots in Michigan could have swung the election to Democrat Hillary Clinton since the Trump margin was fewer than 11,000. Palast’s breakthrough reporting about Crosscheck appeared in the Aug. 24 issue of Rolling Stone under the headline, The GOP’s secret scheme begins purge of a million minority voters from voter rolls of a million minority voters from voter rolls. Scant evidence exists that over-confident and timid Democrats did much of anything to thwart such problems. That follows a familiar pattern. As film maker Michael Moore portrayed in his 2004 documentary Fahrenheit 9/11, not a single U.S. Senator would support House efforts to pursue an investigation of irregularities in the 2000 presidential results, just as a similar investigation foundered on 2004 results. Under Republican majorities, Congress also has failed to take corrective action after many GOP-led states enacted radical restrictions on registration and voting suppressing Democratic votes following a U.S. Supreme Court Shelby County v. Holder decision in 2013 that gutted the Justice Department's ability to fight racial discrimination. The Republican majority on the court took the activist view that their judgment overrode Congress's in determining whether racial bias in election rules still exists. The 5-4 party line vote by all Republicans on the court against all Democrats enabled Republican state legislatures to create many roadblocks to voting by Democrats and racial minorities with little fear of sanction, either by the Justice Department or Republican majorities in Congress. We at the Justice Integrity Project are among investigators who have reported a wide variety of serious problems in recent years casting doubt on the validity of U.S. election procedures. We have published multiple reports, stay current with about 50 messages a day from other researchers, and attended this week The People's Democracy Conference organized by the Voting Rights Alliance (comprised in part by Transformative Justice Coalition and the National Election Defense Coalition) to focus on problems in four major swing states last month and proposed reforms. But our focus today is primarily on the Interstate Crosscheck system that alone, if misused as critics say, had the ability to flip the national electoral college count, much like Palast showed that Republicans stole the 2000 from unwitting Democrats by wrongly eliminating from registration lists about 100,000 voters wrongly accused of being felons ineligible to vote. He broke that story as a reporter that year for the BBC and Guardian, and amplified the plot in his Best Democracy Money Can Buy book. But Democrats could not muster even one vote in the U.S. Senate that year to seek an investigation and otherwise fight the Bush-Cheney transition. On Monday, Palast told the news conference audience that he had just returned from a reporting trip to Michigan. He said the offices of Michigan's secretary of state and attorney general had refused to answer questions about his discoveries. The main one, he said, was that Crosscheck was just matching first and last names, and not entire identities including middle names, birth dates, and Social Security numbers, as advertised. Palast argued that match-ups simply of first names give voting registrars vastly too much arbitrary power to strike voters from the rolls without adequate notice. The Crosscheck program is primarily used in states controlled by Republicans (including the key battleground states this year of Florida, Michigan, North Carolina, and Wisconsin). As a typical example, the petition said that Crosscheck identifies a Maria Isabel Hernandez of Virginia as the same person as a Maria Cristina Hernandez of Louisiana. Democratic-leaning minorities tend to have similar names, such as the surnames Brown, Hernandez, Jackson, Khan, Lee, or White, organizers said. Palast's argument at the news conference and in such interviews as one on Democracy Now! with Amy Goodman headlined, By Rejecting Recount, Is Michigan Covering Up 75,000 Ballots Never Counted? was buttressed at the news conference by several prominent voting rights activists. They were Sameera Khan of 18MillionRising.org, Transformative Justice Coalition President Barbara Arnwine (show in a portrait photo), 1960s civil rights pioneer Ruby Sales of SpiritHouse (shown in our photo at the Press Club podium), and Dr. Wilmer J. Leon, III, a political consultant, nationally syndicated columnist, political scientist at Howard University and producer/host of a talk show that is broadcast Saturdays on Sirius/XM Radio. "This has nothing to do with the election being stolen from Hillary Clinton," Leon (shown in a Howard University file photo) said during the Dec. 12 news conference. "This has every to do with the election being stolen from the American people." In the face of "irrefutable evidence," why is the Republican Party "the party of voter suppression?" Why is the Democratic Party so conspicuously silent? They should be fighting to the death. Why has the mainstream media failed to do half of the work of Greg Palast? Palast sought to answer by drawing on his research trips, including last weekend to interview Republican officials. "They're getting really good at hiding things," he said. "They lie to your face. They say 'We have birth dates and Social Security numbers' [on the Crosscheck list.]" He said he obtained about one million names from the 7.2 million-name list that a Virginia official gave him in error, and that such safeguards against duplication as Social Security numbers and birthdates are not included. This gross failure makes the list a dangerous tool for corrupt officials to remove targeted voters from rolls before voting begins, he said, and thus an apt subject for a criminal inquiry. I asked the panelists why Democratic state officials or members of Congress, at least, would not be more vigorous in fighting for their constituents. One easy way aside from launching investigations would be for Democratic state officials to make the controversial Crosscheck list available, at least to qualified independent researchers. No one had a clear answer, except to cite examples in other election-related organizational issues where Democrats have been caught unprepared for election maneuvers by Republicans contributing to "surprise" Democratic defeats while Democrats at the same time often bear the brunt of claims of illegal voting practices. For example, a massive PR campaign by Republican activists in 2009 demonized ACORN, the nation's largest community advocacy group. That led to dissolution of ACORN, which once had 500,000 members. In that period, a massive embezzlement by an insider was revealed. Reformers were installed in leadership to correct abuses and return the group to its original effectiveness in empowering low-income citizens via voting and other community action. But powerful opponents opposed that effectively and also funded efforts to leverage the scandals into the group's dissolution. 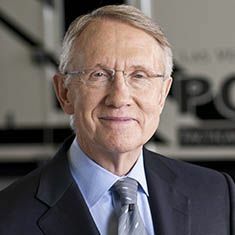 One answer to Leon's questions came from outgoing Democratic Senate minority leader Harry Reid (shown in a file photo) the next day during a dialog I attended at the Newseum. The Democratic National Committee, he told a BuzzFeed interviewer, needs "competition" as it searches for a new leader and direction. “The DNC does nothing to help state organizations," said Reid, who built a state party in Nevada that elected a Democratic successor to him in one of the few federal victories his party achieved in swing races this year. "That’s what they should be spending their time on,” Reid continued. The interview, Harry Reid Says Electors Should Have Intelligence Briefing, included his hope that electoral college members obtain official intelligence briefings promptly on what he called Russian interference in the year's campaign. "I think this is as big a deal as Watergate, as 9/11," Reid continued. "I think they should have a 9/11-type commission." Also on Dec. 13, the New York Times published a major investigative story claiming Russian interference in the election. The New York Times, story, Russian Hacks, How Moscow Aimed a Perfect Weapon at the U.S. Election, by reporters Eric Lipton, David E. Sanger and Scott Shane, alleged "a cyber-espionage and information-warfare campaign devised to disrupt the 2016 presidential election, the first such attempt by a foreign power in American history. "What started as an information-gathering operation, intelligence officials believe, ultimately morphed into an effort to harm one candidate, Hillary Clinton, and tip the election to her opponent, Donald J. Trump," the Times reported, with similar stories based on anonymous CIA sourcing appearing elsewhere, most notably the Washington Post. "An examination by The Times of the Russian operation — based on interviews with dozens of players targeted in the attack, intelligence officials who investigated it and Obama administration officials who deliberated over the best response — reveals a series of missed signals, slow responses and a continuing underestimation of the seriousness of the cyber-attack." A variety of opponents are vigorously disputing the truth of the Times, Post and similar news reports, as well as their sourcing from Obama administration, CIA and other officials. Trump and his supporters bluntly reject the attack on their election day mandate. So also do many critics of Hillary Clinton and other Democratic leaders. These critics, including some Democrats, accused party leaders of hyping a Russian threat to hide their own campaign shortcomings and maintain a hawkish, "neo-liberal" foreign policy. They regard such policies as Clinton's complicity in undeclared wars to overthrow leaders of Libya and Syria as implementing the agendas of foreign policy elites, including the pro-Saudi CIA Director John Brennan, defense contractors, and hawkish opinion leaders in financial and media circles. Another sore point with critics is evidence from WikiLeaks and elsewhere that Democratic officials improperly tilted the 2016 primary contest against Clinton rival Bernie Sanders, Vermont senator. That complaint echoes complaints from Republicans of Democratic voting irregularities if not crimes. Therefore, the thrust of many election critics, including those cited in a long appendix to this column of recent commentary, is non-partisan election law reform, not last-ditch pro-Democratic advocacy. 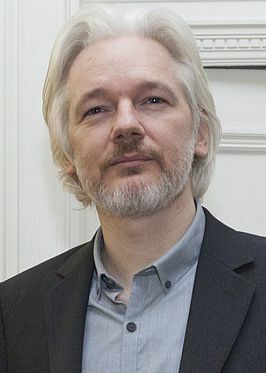 WikiLeaks founder Julian Assange (shown in a 2014 file photo) and his supporters insist that the large numbers of damaging WikiLeaks disclosures against Clinton, her campaign Chairman John Podesta, and the Democratic National Committee arose from "leaks" not illegal "hacks" — and were not enabled by Russians. For example, London's Daily Mail reported Dec. 14 that former UK ambassador Craig Murray, a friend of Assange, claims the Clinton emails "were handed over to him at a D.C. park by an intermediary for 'disgusted' Democratic whistleblowers. That credibility dispute shapes up as a battle royale that will continue with high stakes in global tensions and domestic politics in ways beyond the scope of today's column. For now, we merely note that the intelligence sector's ties to the U.S. power structure extend well beyond the outgoing director Brennan and his Obama-appointed peers. The CIA and other intelligence agencies control Republicans and Democrats alike. Their loyalists are placed inconspicuously throughout government as high as the White House, often without the knowledge of their ostensible bosses, as revealed in The Secret Team by the late historian Fletcher Prouty, formerly the top Defense Department liaison to the CIA for covert operations. More immediately, many Democrats and independent Bernie Sanders progressives feel shell-shocked and almost leaderless. The election loss portends massive changes in government potentially affecting nearly everyone, including the 4,100 politically appointed Democrats in federal jobs. The Trump administration is going to replace virtually all of them beginning next month. Koboch, the Kansas secretary of state who developed the Crosscheck program, is also a leading fighter against illegal immigration and is reputed to be under consideration for a high-ranking Trump administration post, perhaps in the Homeland Security Department. As some voting rights activists convened for a long-term strategy conference and others sought to recount votes in so-far inclusive fashion in disputed states with $9 million in crowd-funded donations raised by Green Party candidate Jill Stein, Palast gamely made the most of his presentation of petition signatures to the Justice Department. The petition signature drive was mostly run by Palast via his investigative site and the Daily Kos. The petition drive listed nine cosponsors, only two of them Democratic office holders, U.S. Reps. Alcee Hastings (D-FL) and Keith Ellison (D-MN), with the latter a candidate to run the Democratic National Committee next year. 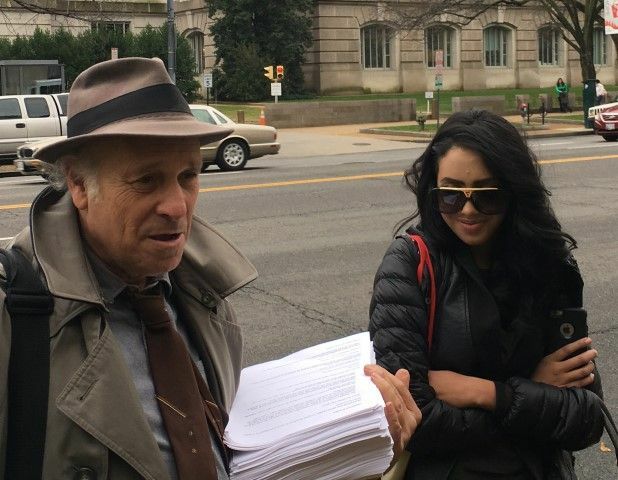 Palast and fellow speaker Sameera Khan — a spokeswoman for the 18Million.org group, an outspoken advocate for the Bernie Sanders candidacy, and also the 2015 Miss New Jersey in the US pageant — are shown in our photo delivering the petitions to the Justice Department. "We the undersigned," the petition states, "demand an investigation of Crosscheck's racially biased purge operation and the release of the entire list of the seven million Americans suspected of voting or registering in two states." 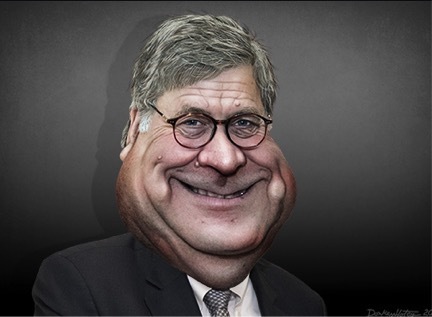 But the time for that was likely long ago and before Democrats at the Justice Department and elsewhere box up their personal possessions, leave their offices, and face the first winter of the Trump administration. "What does it tell us when leading Democrats are more upset about alleged Russian election-rigging than they are about proven Republican election-rigging?" he wrote in While Democrats Chase Russians, Republicans Keep Rigging Elections. "After all, American oligarchs like the Koch Brothers have no more right to undermine our democracy than Russian oligarchs do." "GOP voting laws systematically discriminate against minority voters and working people," Eskow continued. "Yes, leading Democrats have lodged pro-forma protests against them, but they should be shouting about it from the rooftops. They seem more comfortable challenging Russians than they do challenging a party that’s undermining the electoral process much closer to home." Associated Press, Election system susceptible to rigging despite red flags, Michael Rubinkam and Frank Bajak, Dec. 26, 2016. Jill Stein's bid to recount votes in Pennsylvania was in trouble even before a federal judge shot it down Dec. 12. That's because the Green Party candidate's effort stood almost no chance of detecting potential fraud or error in the vote — there was basically nothing to recount. Pennsylvania is one of 11 states where the majority of voters use antiquated machines that store votes electronically, without printed ballots or other paper-based backups that could be used to double-check the balloting. There's almost no way to know if they've accurately recorded individual votes — or if anyone tampered with the count. More than 80 percent of Pennsylvanians who voted Nov. 8 cast their ballots on such machines, according to VotePA, a nonprofit seeking their replacement. A recount would, in the words of VotePA's Marybeth Kuznik, a veteran election judge, essentially amount to this: "You go to the computer and you say, 'OK, computer, you counted this a week-and-a-half ago. Were you right the first time?'" What's more, their prevalence magnifies other risks in the election system, such as the possibility that hackers might compromise the computers that tally votes, by making failures or attacks harder to catch. And like other voting machines adopted since the 2000 election, the paperless systems are nearing the end of their useful life — yet there is no comprehensive plan to replace them. All that makes national elections very difficult to steal without getting caught. "It would take a 'large conspiracy' to hack the results of a presidential election," said Kay Stimson, speaking for the National Association of Secretaries of State. But difficult is not impossible. Wallach and his colleagues believe a crafty team of pros could strike surgically, focusing on select counties in a few battleground states where "a small nudge might be decisive," he said. Washington Post, In last-shot bid, thousands urge electoral college to block Trump, Robert Samuels, Dec. 17, 2016. Amid the scrutiny of a divisive election, pressure on members of the country’s electoral college to select someone other than Donald Trump has grown dramatically — and noisily — in recent weeks. But although some electors appeared to waver, there is little evidence that Trump will fall short when they convene Monday. 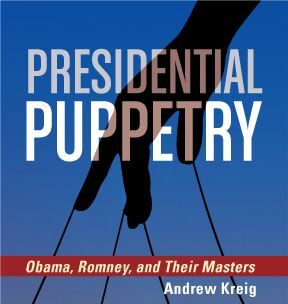 XM/Sirius Satellite Radio, "Inside the Issues" Host Dr. Wilmer J. Leon, III interviews "Presidential Puppetry" author and Justice Integrity Project editor Andrew Kreig, Dec. 17, 2016. 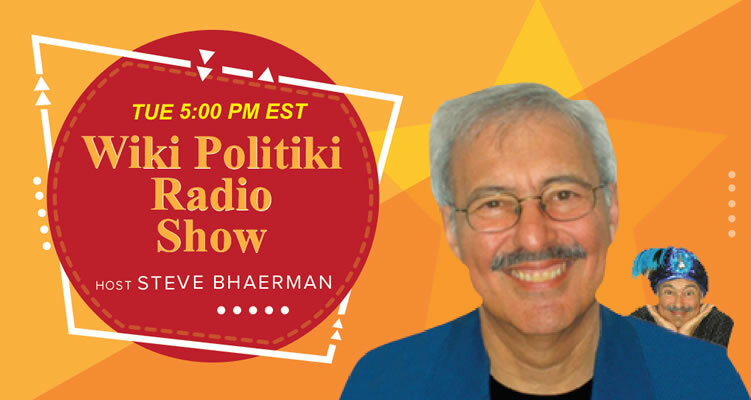 The topic is election fraud issues in 2016 and previously and why the neither Democrats nor the media expose and otherwise fight more effectively against voter suppression and other plots. WhoWhatWhy, Recounts Are Only as Good as They Are Allowed to Be, Jonathan Simon, Dec. 15, 2016. Jonathan Simon is Executive Director of Election Defense Alliance, a nonprofit organization dedicated to restoring observable vote counting in electoral integrity. 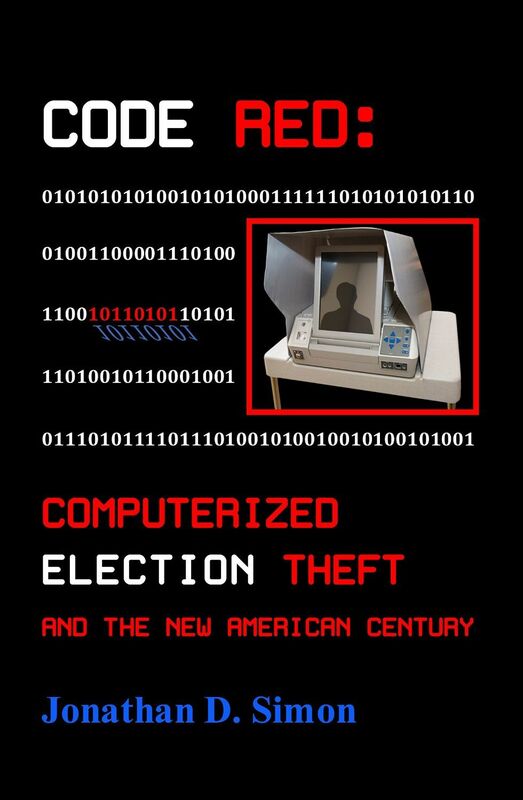 He’s also the author of "Code Red: Computerized Election Theft in the New American Century." The existence of paper ballots is generally touted as the ultimate backstop guaranteeing the integrity of American elections, because “if there is a problem or any doubts, those ballots can always be recounted.” They can be — but will they be? Now we have seen three “recounts” up close and learned that, in practice, this amounts to a false and dangerous assurance. The effort to recount these ballots, where they do exist, has been blocked, subverted, and turned into a sham in each of the three states in which it has been attempted this month. The sheer number (and variety) of obstacles that have been thrown in the path of the recount efforts in the battleground states of Wisconsin, Michigan, and Pennsylvania begs the question: What evidence are these blockades trying to hide? Washington Post, Jill Stein has done the nation a tremendous public service, Jonathan S. Abady and Ilann M. Maazel, Dec. 15, 2016. As lead counsel in Green Party presidential nominee Jill Stein’s quest to have votes recounted in Michigan, Wisconsin and Pennsylvania, we have been in court for the past two weeks trying to verify the integrity of the election and make sure that no one hacked our democracy. Some have cast Stein as a spoiler, or alleged that the recounts were futile, because they didn’t change who won the election. But the recount would only be futile if we, as Americans, ignored the lessons of the past weeks and preserved the status quo that is our broken voting system. To start, we must recognize that what we saw in Michigan, Wisconsin and Pennsylvania were recounts in name only. Though more than 161,000 people across the nation donated to the effort — and millions more demanded it with their voices — every imaginable financial, legal and political obstacle was thrown in the way of the recounts. Common Dreams, Electoral College Revolt Growing Into 'Powerful Show of Force,' Deirdre Fulton, Dec. 14, 2016. With the Electoral College vote less than a week away, Harvard University constitutional law professor Lawrence Lessig says 20 Republican members are considering voting against Donald Trump—more than half the number needed to potentially block the real estate mogul's election. The 538 delegates to the Electoral College will gather at state capitols on Monday, December 19 to cast their votes for president. Ahead of that day, Lessig's Electors Trust group "has been offering pro bono legal counsel to Republican presidential electors considering ditching Trump and has been acting as a clearinghouse for electors to privately communicate their intentions," Politico explains. Lessig further outlined his arguments for doing so in an op-ed posted Tuesday at Medium. He said Tuesday: "Obviously, whether an elector ultimately votes his or her conscience will depend in part upon whether there are enough doing the same. We now believe there are more than half the number needed to change the result seriously considering making that vote." Daily Mail, Ex-British ambassador who is now a WikiLeaks operative claims Russia did NOT provide Clinton emails; they were handed over to him at a D.C. park by an intermediary for 'disgusted' Democratic whistleblowers, Alana Goodman, Dec. 14, 2016. A Wikileaks envoy today claims he personally received Clinton campaign emails in Washington D.C. after they were leaked by 'disgusted' whisteblowers - and not hacked by Russia. 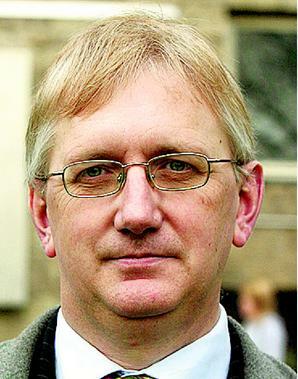 Craig Murray, former British ambassador to Uzbekistan and a close associate of Wikileaks founder Julian Assange, told Dailymail.com that he flew to Washington, D.C. for a clandestine hand-off with one of the email sources in September. Murray is a controversial figure who was removed from his post as a British ambassador amid allegations of misconduct. He was cleared of those but left the diplomatic service in acrimony. His links to Wikileaks are well known and while his account is likely to be seen as both unprovable and possibly biased, it is also the first intervention by Wikileaks since reports surfaced last week that the CIA believed Russia hacked the Clinton emails to help hand the election to Donald Trump. Murray's claims about the origins of the Clinton campaign emails comes as U.S. intelligence officials are increasingly confident that Russian hackers infiltrated both the Democratic National Committee and the email account of top Clinton aide John Podesta. 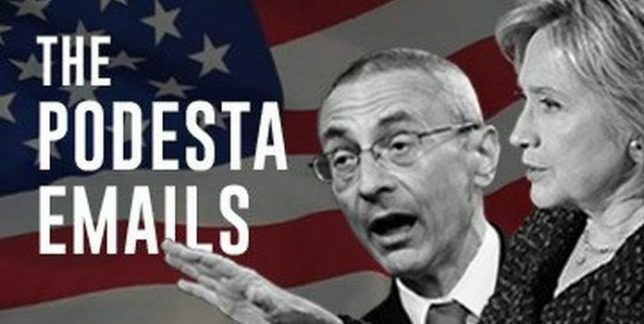 In Podesta's case, his account appeared to have been compromised through a basic 'phishing' scheme, the New York Times reported on Wednesday. U.S. intelligence officials have reportedly told members of Congress during classified briefings that they believe Russians passed the documents on to Wikileaks as part of an influence operation to swing the election in favor of Donald Trump. 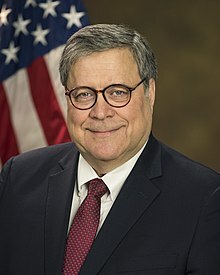 He said the leakers were motivated by 'disgust at the corruption of the Clinton Foundation and the tilting of the primary election playing field against Bernie Sanders.' Murray said he retrieved the package from a source during a clandestine meeting in a wooded area near American University, in northwest D.C. He said the individual he met with was not the original person who obtained the information, but an intermediary. New York Times, Russian Hacks, How Moscow Aimed a Perfect Weapon at the U.S. Election, Eric Lipton, David E. Sanger, Scott Shane, Dec. 13, 2016. When Special Agent Adrian Hawkins of the Federal Bureau of Investigation called the Democratic National Committee in September 2015 to pass along some troubling news about its computer network, he was transferred, naturally, to the help desk. His message was brief, if alarming. At least one computer system belonging to the D.N.C. had been compromised by hackers federal investigators had named “the Dukes,” a cyberespionage team linked to the Russian government. The F.B.I. knew it well: The bureau had spent the last few years trying to kick the Dukes out of the unclassified email systems of the White House, the State Department and even the Joint Chiefs of Staff, one of the government’s best-protected networks. An examination by The Times of the Russian operation — based on interviews with dozens of players targeted in the attack, intelligence officials who investigated it and Obama administration officials who deliberated over the best response — reveals a series of missed signals, slow responses and a continuing underestimation of the seriousness of the cyberattack. The D.N.C.’s fumbling encounter with the F.B.I. meant the best chance to halt the Russian intrusion was lost. The failure to grasp the scope of the attacks undercut efforts to minimize their impact. And the White House’s reluctance to respond forcefully meant the Russians have not paid a heavy price for their actions, a decision that could prove critical in deterring future cyberattacks. The low-key approach of the F.B.I. meant that Russian hackers could roam freely through the committee’s network for nearly seven months before top D.N.C. officials were alerted to the attack and hired cyberexperts to protect their systems. In the meantime, the hackers moved on to targets outside the D.N.C., including Mrs. Clinton’s campaign chairman, John D. Podesta, whose private email account was hacked months later. Even Mr. Podesta, a savvy Washington insider who had written a 2014 report on cyberprivacy for President Obama, did not truly understand the gravity of the hacking. BuzzFeed, Harry Reid Says Electors Should Have Intelligence Briefing, Ben Smith and Lissandra Villa, Dec. 13, 2016. Sen. Harry Reid (D-NV) told BuzzFeed News Tuesday that members of the Electoral College should receive an intelligence briefing on Russian interference in the US election before they vote on Dec. 19. 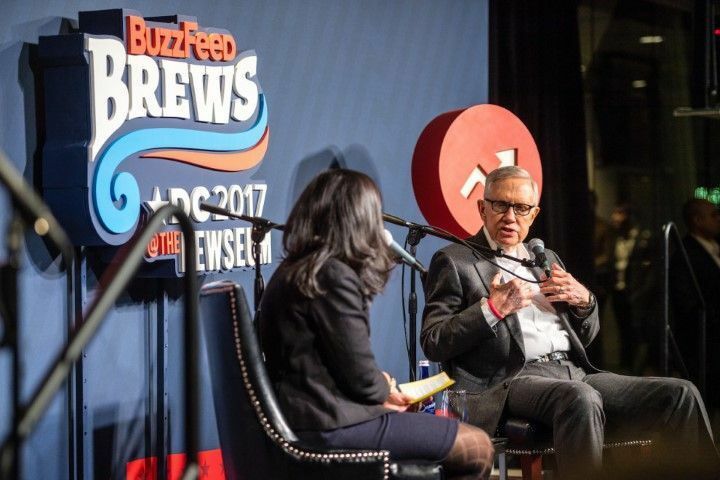 The Senate’s minority leader was interviewed at a BuzzFeed Brews event, where the retiring Nevada lawmaker also reflected on the state of the US Senate. In addition to calling for the commission, Reid said he placed much of the blame on FBI Director James Comey. “I think Comey has done as much to denigrate the FBI in just the short three years he’s been here as J. Edgar Hoover did during his time,” Reid said. More current events came up during Reid’s one-on-one interview (with Tarini Parti, BuzzFeed News’ US Senate reporter). Regarding a group of electors that has demanded a briefing on Russian hacking in a last-ditch effort to stop Donald Trump from becoming president — a move that has drawn some support from former Hillary Clinton campaign staffers — Reid said that “of course” they should get briefings. “If they had the same briefings that I had they would be concerned about the election, and I believe focusing on the Electoral College is important,” Reid said. “Republicans have taken the filibuster to extremes that are unknown to anyone,” he said. Reid, who changed the Senate’s rules during his time as majority leader to weaken the filibuster, said that while it was not included in the Constitution, the filibuster had developed over time to make the Senate “operable.” But recently, Reid said, the Senate had become “inoperable” and filibuster reform became necessary. Meanwhile, the Democratic National Committee needs “competition” as it looks for a new chairman and direction post-election, he added. “The DNC does nothing to help state organizations. That’s what they should be spending their time on,” Reid said, adding that there’s a group of politicians who need to stay involved, including President Obama, Vice President Joe Biden, Secretary of State John Kerry, and Hillary and Bill Clinton. Reid, who gave his farewell address on the Senate floor last week, will be retiring after a three-decade Senate career. He was elected to the Senate in 1986, and has been the Democratic leader for more than a decade. Democracy Now! Greg Palast: By Rejecting Recount, Is Michigan Covering Up 75,000 Ballots Never Counted? Amy Goodman interview, Dec. 13, 2016. Investigative reporter Greg Palast has just returned from Michigan, where he went to probe the state’s closely contested election. Trump won Michigan by fewer than 11,000 votes out of nearly 4.8 million votes cast. Green Party presidential contender Dr. Jill Stein attempted to force Michigan to hold a recount, but a federal judge ordered Michigan’s Board of Elections to stop the state’s electoral recount. One big question remains: Why did 75,335 ballots go uncounted? Huffington Post, While Democrats Chase Russians, Republicans Keep Rigging Elections, Richard (RJ) Eskow, Dec. 13, 2016. What does it tell us when leading Democrats are more upset about alleged Russian election-rigging than they are about proven Republican election-rigging? Voter ID laws are the modern-day version of Jim Crow laws like poll taxes and “literacy tests,” as courts have increasingly recognized. These laws are popular, but they’re profoundly undemocratic. Surely Democrats can make an effective case against them — once they find the courage and common sense to fight them. Voter suppression is systematic. Lower-income voters from all groups are discouraged from voting by our lack of an automatic voter registration process, and by the fact that voting takes place on a work day. Voters are purged from the rolls through caging, wrongful purges, and “no match no vote.” Long waits times suppress future vote participation and discriminate against minority and lower-income voters. Democrats should propose comprehensive pro-democracy reforms, and then explain why Republicans are blocking them. Why don’t they? Are they afraid they’ll lose the white vote? Lower-income white voters are being deterred by these restrictions too — including, in all likelihood, the 4.6 percent of Republican voters effectively disenfranchised by voter ID laws. Reader Supported News via OpEdNews, Now the CIA Will Rescue Us From Donald Trump, John Kiriakou, Dec. 13 2016. I've made a living the past several years criticizing the CIA. The Agency is easy to criticize. Its analysts have missed most of the major trends and events throughout post World War II history, as documented in Tim Weiner's excellent book Legacy of Ashes. Its operatives have committed crimes against humanity, including torture and extraordinary rendition. And its leaders lie every time they open their mouths. "We don't torture prisoners." A lie. "We don't send prisoners to third countries to be tortured." A lie. You get the idea. But now the CIA -- indeed, the whole "intelligence community" -- is telling us that the Russian government somehow hacked into "the election" or "the electoral process," apparently with the help of Wikileaks or other hackers, for the express purpose of aiding the Donald Trump campaign. The FBI apparently has come to a variation of the same conclusion, although the Washington Post says that the FBI is more circumspect about the accusation. Still, President Obama has ordered a governmental review of the allegations. And a bipartisan group in Congress, including senators Chuck Schumer (D-N.Y.), Lindsay Graham (R-S.C.), and John McCain (R-Ariz.), has announced hearings on the matter. For the sake of argument, let's say that the Russians did indeed conduct a covert action operation to influence the election in Trump's favor. Where does that leave us? First, it means the election is (or ought to be) illegitimate. Russian intervention, coupled with the fact that Hillary Clinton won the popular vote by nearly 3 million votes, makes Trump look like a usurper. The Washington swells' admonitions that we should all "pull together" for the sake of the country make them look like quislings and are just as anti-democratic as Trump's election. Whatever the American people decide to do in response to Russian interference, if there was Russian interference, one thing is clear -- we have to be a monkey on Trump's back every day for the remainder of his presidency. We must not let up. Oh, and by the way -- the release of the CIA report, or information from the CIA report, is an act of espionage as defined by the Obama Justice Department: "Providing national security information to any person not entitled to receive it." I wonder who's going to be charged with that leak. Yeah, right. Huffington Post, While Democrats Chase Russians, Republicans Keep Rigging Elections, Richard (RJ) Eskow, Dec. 13, 2016. Voter ID laws are the modern-day version of Jim Crow laws like poll taxes and “literacy tests,” as courts have increasingly recognized. These laws are popular, but they’re profoundly undemocratic. Surely Democrats can make an effective case against them — once they find the courage and common sense to fight them. North Carolina’s sweeping vote overhaul — the so-called “monster” law — aggressively suppressed the African-American vote. Was that deliberate? Some Democrats are calling other Americans “traitors” and “Putinites,” based on unsubstantiated allegations from the same intelligence agencies that told us there were weapons of mass destruction. We’ve been down that road before and it leads nowhere. The search for simplistic answers is a distraction from the hard work that lies ahead, the many-faceted work of building a party and a movement. We can’t resolve the Russian question without more answers, but we can fix what we already know is broken. Investigate Putin. But democracy, like charity, begins at home. New York Times, The Tainted Election, Editorial board, Dec. 12, 2106. The C.I.A., according to The Washington Post, has now determined that hackers working for the Russian government worked to tilt the 2016 election to Donald Trump. This has actually been obvious for months, but the agency was reluctant to state that conclusion before the election out of fear that it would be seen as taking a political role. Meanwhile, the F.B.I. went public 10 days before the election, dominating headlines and TV coverage across the country with a letter strongly implying that it might be about to find damning new evidence against Hillary Clinton — when it turned out, literally, to have found nothing at all. Did the combination of Russian and F.B.I. intervention swing the election? Yes. Mrs. Clinton lost three states – Michigan, Wisconsin, and Pennsylvania – by less than a percentage point, and Florida by only slightly more. If she had won any three of those states, she would be president-elect. Is there any reasonable doubt that Putin/Comey made the difference? And it wouldn’t have been seen as a marginal victory, either. Even as it was, Mrs. Clinton received almost three million more votes than her opponent, giving her a popular margin close to that of George W. Bush in 2004. So this was a tainted election. It was not, as far as we can tell, stolen in the sense that votes were counted wrong, and the result won’t be overturned. But the result was nonetheless illegitimate in important ways; the victor was rejected by the public, and won the Electoral College only thanks to foreign intervention and grotesquely inappropriate, partisan behavior on the part of domestic law enforcement. The question now is what to do with that horrifying knowledge in the months and years ahead. One could, I suppose, appeal to the president-elect to act as a healer, to conduct himself in a way that respects the majority of Americans who voted against him and the fragility of his Electoral College victory. Yeah, right. What we’re actually getting are wild claims that millions of people voted illegally, false assertions of a landslide, and denigration of the intelligence agencies. Detroit News, Detroit’s voting irregularities spur state audit, Jonathan Oosting, Dec. 12, 2016. Voting irregularities in Detroit have spurred plans for an audit by Michigan Secretary of State Ruth Johnson’s office, Elections Director Chris Thomas said Monday. State officials are planning examine about 20 Detroit precincts where ballot boxes opened during the recount had fewer ballots than poll workers had recorded on Election Day. “We’re assuming there were (human) errors, and we will have discussions with Detroit election officials and staff in addition to reviewing the ballots,” Thomas said. The Detroit precincts are among those that couldn’t be counted during a statewide presidential recount that began last week and ended Friday following a decision by the Michigan Supreme Court. The recount problems were the worst in Detroit, where discrepancies meant officials couldn’t recount votes in 392 of the city’s 662 precincts, or nearly 60 percent. State law that bars recounts for unbalanced precincts or ones with broken seals. Democrat Hillary Clinton overwhelmingly prevailed in Detroit and Wayne County. But Republican President-elect Donald Trump won Michigan by 10,704 votes, or 47.5 percent to 47.3 percent. Washington Post, Bolton makes extraordinary claim that hacking may be a ‘false flag’ by Obama administration, Derek Hawkins, Dec. 12, 2016. John Bolton, a former U.N. ambassador reportedly being considered for deputy secretary of state in the Trump administration, said Sunday that reports of Russian interference in the presidential election may be a “false flag” conjured up by the Obama administration. In an interview with Eric Shawn of Fox News, Bolton claimed the Obama administration had “politicized” intelligence and suggested there may have been a hidden motive behind the CIA’s finding that Russians hacked computer networks belonging to the Democratic and Republican national committees. 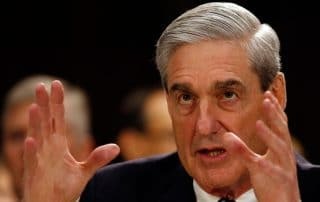 He questioned why the FBI did not uncover similar evidence of meddling by foreign intelligence services when it investigated Hillary Clinton’s private email server. Truthout, The No-BS Inside Guide to the Presidential Recount, Greg Palast, Nov. 30, 2016. 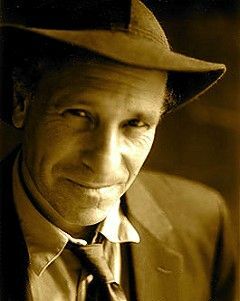 Greg Palast (shown in a file photo) investigated vote suppression in the 2016 election for Rolling Stone. The film of his investigation, The Best Democracy Money Can Buy, was released by Cinema Libre Studios in September. There's been so much complete nonsense since I first broke the news that the Green Party would file for a recount of the presidential vote, I am compelled to write a short guide to flush out the BS and get to just the facts, ma'am. The nasty little secret of US elections, is that we don't count all the votes. In Wisconsin, Michigan and Pennsylvania — and all over America — there were a massive number of votes that were simply rejected, invalidated, and spoiled. They were simply, not counted. Officially, in a typical presidential election, at least three million votes end up rejected, often for picayune, absurd reasons. The rejects fall into three big categories: provisional ballots rejected, absentee and mail-in ballots invalidated and in-precinct votes “spoiled,” spit out by a machine or thrown out by a human reader as unreadable or mis-marked. But, Fitrakis and team suspect, many of these under- and over-voters meant to vote for a candidate but the robot reader couldn’t understand their choice. Here’s how it happens. Voters in Michigan and Wisconsin fill in bubbles next to their choice. The cards, filled up with darkened bubbles for each race, are gathered and fed through an “optical scanner.” These robotic eyeballs mess up all the time. Are machines calibrated with a Republican or Democratic bias? No, that's not how it works. But just as poor areas get the worst schools and hospitals, they also get the worst voting machines. The key is an ugly statistic not taught in third grade civics class: According to the US Civil Rights Commission, the chance your vote will be disqualified as “spoiled” is 900% more likely if you’re Black than if you’re white. So the Green Party intends to review every single one of the six million bubble-filled cards. They’ll use the one instrument that can easily tell one bubble from two, or one bubble from none: the human eye. As you can imagine, This will require several thousand eyes. The good news is, Fitrakis reports, that well over a thousand volunteers have already signed up. Washington Post, The election really was rigged, Dana Milbank, Nov. 29, 2016. A voting scandal of epic proportion tilted this election. The scam involved millions of people. Millions of would-be voters didn’t participate because of obstacles designed to discourage them. The hurdles were, thanks to a 2013 Supreme Court ruling invalidating key parts of the Voting Rights Act, largely legal. And they arguably suppressed enough minority voters to cost Clinton the election. Fourteen states had new voting restrictions in place for the first time in a presidential election, and 20 have had such restrictions put in place since 2010, according to the Brennan Center for Justice, a group that opposes such laws. These include strict photo-ID requirements, cutbacks in early voting and new restrictions on registration. Other states are resisting efforts that would make voting easier with same-day, online and motor-voter registration. No, I’m not talking about the recount the Clinton campaign joined in Wisconsin and may seek in Michigan and Pennsylvania. Hillary Clinton and her aides were correct before, when they said voting fraud is rare. The recounts won’t change the election’s outcome. And after rightly criticizing Donald Trump for saying he might not honor the election results, Clinton and her aides, who admit they have no evidence of skullduggery, risk looking hypocritical. Wisconsin Elections Commission, Commission Releases Presidential Election Recount Cost Estimate of $3.5 million, Staff report, Nov. 28, 2016. The bipartisan Wisconsin Elections Commission has given a recount cost estimate of nearly $3.5 million to the campaigns of Green Party candidate Jill Stein and independent candidate Rocky Roque De La Fuente. For the recount to go forward, one or both of the candidates will have to pay $3,499,689 to the Commission by 4:30 p.m. Tuesday, said Commission Administrator Michael Haas. Both recount petitioners have been advised of the cost estimate. NBC News, With No Evidence, Trump Claims 'Millions' Voted Illegally, Phil McCausland, Nov. 28 2016. President-elect Donald Trump tweeted a stream of thus-far baseless claims of voter fraud Sunday, indicating that the Hillary Clinton campaign's involvement in an election recount was hypocritical. Trump, who himself suggested that he would not concede the election during the campaign if he had lost, used his Twitter account to declare that "nothing will change." He also reiterated that Clinton had already conceded the election. Trump, however, also effectively offered his own support for the recount, providing a seemingly baseless allegation that he would have won the popular vote "if you deduct the millions of people who voted illegally." Washington Post, This Trump tweet signals a major assault on voting, Greg Sargent, Nov. 28, 2016. Here’s what it might look like. Donald Trump’s victory in the electoral college apparently wasn’t enough to quiet the mental demons that regularly hector him into tweeting out conspiracy theories and lies. Trump has now made national news with this tweet, a response to reports that Hillary Clinton’s campaign will join a recount effort in Wisconsin and possibly Michigan and Pennsylvania as well. As Glenn Kessler explains, there is zero evidence that this happened. Trump will continue to reach deep into the fever swamps to shape reality for himself and his supporters — only now he’ll do so in the position as most powerful person in the world. Trump also tweeted that there was “serious voter fraud” in three states that the media refuses to report upon. But all this may also telegraph something concrete that we might see under a Trump presidency: A far more ambitious effort to restrict access to voting than we might have expected. “My concern is that this might be a signal that we will see an assault on voting rights,” Wendy Weiser, the director of the Democracy Program at the Brennan Center for Justice, told me today. “Claims of nonexistent voter fraud and noncitizen voting are precisely the kinds of baseless justifications that we’ve seen for the wave of laws in the past couple of years restricting voting access.” Trump’s choice of Alabama Sen. Jeff Sessions as attorney general makes this more plausible. 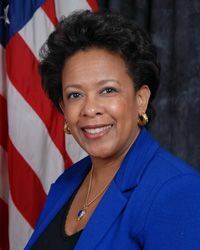 As a U.S. attorney in the mid-1980s, Sessions tried to prosecute three civil rights activists for voter fraud, when they were trying to help poor, elderly, and illiterate people to vote. They were acquitted. Washington Post, Tump calls recount effort hypocrisy. Aaron Blake​, Nov. 27, 2016. That’s not really fair. The comparison between what Hillary Clinton is doing now and what Donald Trump talked about doing during the campaign isn't apples-to-apples. For one thing, he was talking about massive election fraud before it was even alleged to have happened. Former Secretary of State Hillary Clinton speaking with supporters at a campaign rally in Phoenix, Arizona, March 21, 2016. Photo by Gage Skidmore. Consortium News, Clinton Campaign Joins Vote Challenge, Joe Lauria, Nov. 27, 2016. 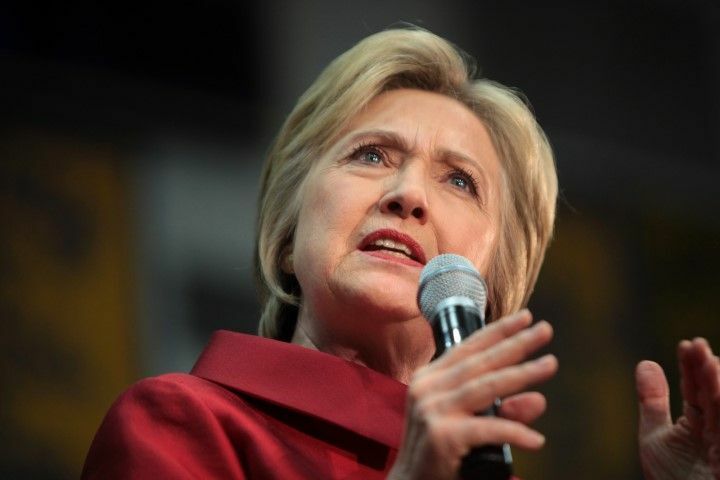 Although lacking "actionable evidence of hacking," Hillary Clinton's campaign has decided to join the recount of votes from the presidential election in the state of Wisconsin that was launched by Jill Stein, the presidential candidate from the U.S. Green Party. Marc Elias, the Clinton campaign counsel, said the campaign decided to take part in the recount to discover whether there was "outside interference" in the election results. He said the campaign had been inundated with messages from Clinton supporters to do "something, anything, to investigate claims that the election results were hacked and altered in a way to disadvantage Secretary Clinton," particularly in Wisconsin, Michigan, and Pennsylvania. 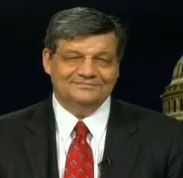 "This election cycle was unique in the degree of foreign interference witnessed throughout the campaign: the U.S. government concluded that Russian state actors were behind the hacks of the Democratic National Committee and the personal email accounts of Hillary for America campaign officials," Elias wrote in an online message. Donald Trump narrowly beat Democratic candidate Hillary Clinton in Wisconsin, Pennsylvania and Michigan, where the margin was only 11,612 votes, the closet presidential contest in that state’s history. Clinton would have to win all three states in the recount to receive 276 electoral votes to Trump’s 260. A total of 270 votes are needed to win the presidency. Trump now leads 306 to 232. The electors will vote in their state capitals on Dec. 19. It is not clear if the three recounts would be finished by then. Washington Post, Trump pushes conspiracy theory that ‘millions’ voted illegally for Clinton, Paul Kane, Nov. 27, 2016. President-elect Donald Trump parroted a widely debunked conspiracy theory that Hillary Clinton won the popular vote because of massive voter fraud, creating even more consternation around the election results as Green Party candidate Jill Stein leads calls for recounts. That accusation — spread by conspiracy sites such as ­Infowars.com and discredited by fact-checking organizations — gained traction among some far-right conservatives disappointed that Trump lost the popular vote. But Trump’s embrace of the claim created even more instability around the election results from both ends of the political spectrum, with Green Party candidate Jill Stein leading calls among liberal activists for recounts in key battleground states to make sure voting fraud did not give the election to Trump. Trump’s senior advisers, meanwhile, are engaged in an escalating feud over whether Mitt Romney or Rudy Giuliani should be offered the position of secretary of state. Washington Post, 4 Pinocchios for Trump’s bogus assertion about voter fraud, Glenn Kessler, Nov. 27, 2016. Now that he is on the verge of becoming president, Trump needs to be more careful about making wild allegations. Huffington Post, Bernie Sanders Gets Frustrated With CNN Host’s Election Recount Questions, Daniel Marans, Nov. 27, 2016. The Vermont senator wanted to talk about holding Donald Trump accountable. Sen. Bernie Sanders (I-Vt.) appeared to get annoyed with CNN’s Dana Bash on Sunday for asking him to respond to the Trump campaign manager’s criticism of the Wisconsin recount. Bash, who was guest-hosting CNN’s “State of the Union,” first asked Sanders to respond to the news that Green Party presidential nominee Jill Stein had demanded a recount of the votes in Wisconsin. The campaign of 2016 Democratic nominee Hillary Clinton announced that it will participate in the recount as well. “No one expects there to be profound change, but there’s nothing wrong with going through the process,” Sanders said, before pivoting to a discussion of whether President-elect Donald Trump would remain true to his campaign promises. 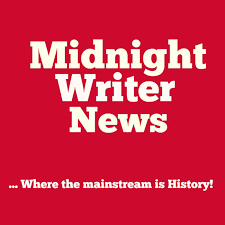 OpEdNews, Green Party Lawyer Discusses Upcoming Recount, Joan Brunwasser, Nov. 27, 2016. "[Stein] is a supporter of election transparency. The three states chosen for the recount all have statistical red flags and were very close in the votes between the two major presidential candidates. Stein believes the voters of the right to a fair and accurate count. Our system is fundamentally flawed and that we should demand that there be no place in a democratic system for secret proprietary software in our voting process." Washington Post, Election recount to get underway in Wis. after Green Party’s Stein files petition, Karoun Demirjian, Nov. 25, 2016. The former Green Party presidential candidate filed for a recount in the state — where Donald Trump pulled off an upset victory — after experts grew suspicious that the results could have been manipulated and urged Hillary Clinton to demand one. Palmer Report, Three Wisconsin precincts revise vote totals after caught padding Donald Trump’s numbers, Bill Palmer, Nov. 25, 2016. Even as Wisconsin officials say they’re preparing for a statewide recount of the 2016 vote totals after third party candidate Jill Stein raised enough funds to cover the cost of it, the nation is left to wonder whether it might result in Hillary Clinton being named the winner of the state. But before the recount has even begun, evidence of either gross negligence or foul play has been exposed in three Wisconsin precincts – which had resulted in quite a number of phantom votes given to Donald Trump – and the vote totals have been revised accordingly. The story goes like this: after Wisconsin posted its voting totals, various internet users who looked at the numbers noticed the same discrepancy. Three precincts in Outagamie County were each claiming that more people had voted in the presidential race than had voted at all. That’s not possible, of course. So after it became a minor online controversy, those precincts each revised their totals. The result: more than a thousand imaginary votes for Donald Trump came off the board from those three precincts alone, as first noted by Dan Solomon of Fast Company. Greg Palast via Facebook, Exclusive: Jill Stein just called, Green Party filing for recount in Michigan, Wisconsin and Pennsylvania, Greg Palast, Nov. 23, 2016. Jill Stein just called to say that I am the first one to be informed that the Green Party is formally petitioning for a recount in 3 states, Wisconsin, Michigan and Pennsylvania. Trump’s margin is less that 11,600 in Michigan, 27,200 in Wisconsin and 68,000 in Pennsylvania. If just a few thousand votes are found in Wisconsin and Michigan, Hillary Clinton becomes president by 276 electoral votes verses 264 for Trump. Stein told me “We’re filing in Wisconsin Friday because the votes were cast on proven hack-prone machines. This has been a hack-ridden election.” She said that it will be most difficult to recount the machines in Pennsylvania. When asked why the democrats are not bringing this action, Stein told this reporter that “Democrats do not act to protect the vote even when there is dramatic evidence” of tampering. The Green Party told us that Stein will be represented by experienced voting rights attorney’s John Bonifaz, Boston, MA and Robert Fitrakis, Columbus, OH. Stein said, “our voting system is on life support.” The presidential candidate also said, “The Green Party will continue to be the go-to advocate for voting rights. 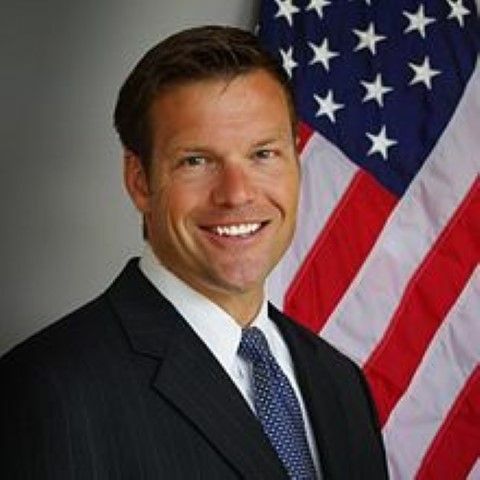 That includes fighting vote suppression tactics such as the Interstate Crosscheck system.” The creator of the program, Kansas Secretary of State Kris Kobach now being considered top contender by Trump to head Department of Homeland Security. KPFA "Guns and Butter," Fingerprints of theft in the election, Bonnie Faulkner interviews author Jonathan Simon on election fraud, Nov. 23, 2016. Still struggling to pooh-pooh "conspiracy theory" of election theft, the New York Times blacks out Jill Stein's amazing drive for funds. According to the Journal, the transition team “includes a unit dedicated to figuring out how to build Mr. Trump’s wall along the U.S.-Mexico border.” Back in April, Kobach took credit for Trump’s plan to blackmail Mexico into paying for a border wall by impounding remittances that immigrants send home to their families. A few months later, he was responsible for getting the wall into the Republican Party platform. Earlier this year, Kobach complained that Immigration and Customs Enforcement wasn’t just rounding up and deporting undocumented immigrants who show up to protests or to testify before legislatures. Kobach is the force behind anti-immigrant laws throughout the country, including infamously draconian measures in Arizona and Alabama (former Arizona Gov. Jan Brewer, who signed that state’s law, is reportedly being considered for a Trump cabinet post). Rolling Stone, The GOP’s secret scheme begins purge of a million minority voters from voter rolls of a million minority voters from voter rolls, Greg Palast, Aug. 24, 2016. Donald Trump is right — the election IS rigged. And it’s his buddies who are rigging it. Rolling Stone has unearthed a confidential list of MILLIONS of voters who are marked to be purged, up to a million at risk by November. Who? Mostly, voters of color, i.e. Democrats. Will an anti-voter-fraud program designed by one of Trump's advisers deny tens of thousands their right to vote in November? The Crosscheck program is a response to the imaginary menace of mass voter fraud. When Donald Trump claimed, "the election's going to be rigged," he wasn't entirely wrong. But the threat was not, as Trump warned, from Americans committing the crime of "voting many, many times." What's far more likely to undermine democracy in November is the culmination of a decade-long Republican effort to disenfranchise voters under the guise of battling voter fraud. The latest tool: Election officials in more than two dozen states have compiled lists of citizens whom they allege could be registered in more than one state – thus potentially able to cast multiple ballots – and eligible to be purged from the voter rolls. The data is processed through a system called the Interstate Voter Registration Crosscheck Program, which is being promoted by a powerful Republican operative, and its lists of potential duplicate voters are kept confidential. But Rolling Stone obtained a portion of the list and the names of 1 million targeted voters. According to our analysis, the Crosscheck list disproportionately threatens solid Democratic constituencies: young, black, Hispanic and Asian-American voters – with some of the biggest possible purges underway in Ohio and North Carolina, two crucial swing states with tight Senate races. Like all weapons of vote suppression, Crosscheck is a response to the imaginary menace of mass voter fraud. 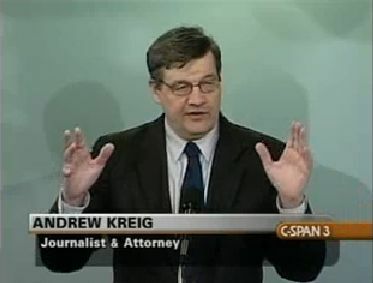 In the mid-2000s, after the Florida-recount debacle, the Bush administration launched a five-year investigation into the allegedly rampant crime but found scant evidence of wrongdoing. Still, the GOP has perpetuated the myth in every national election since. Recently, North Carolina Board of Elections chief Kim Strach testified to her legislature that 35,750 voters are "registered in North Carolina and another state and voted in both in the 2012 general election." Yet despite hiring an ex-FBI agent to lead the hunt, the state has charged exactly zero double voters from the Crosscheck list. Nevertheless, tens of thousands face the loss of their ability to vote – all for the sake of preventing a crime that rarely happens. So far, Crosscheck has tagged an astonishing 7.2 million suspects, yet we found no more than four perpetrators who have been charged with double voting or deliberate double registration.